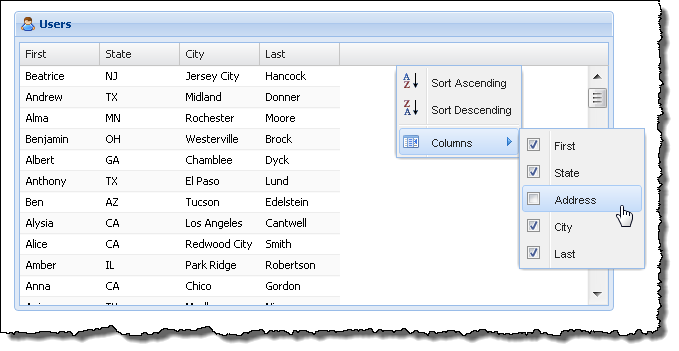 In this article I will demonstrate the basic out of the box functionality which comes with each grid and will focus on the capabilities of each column. In the previous article I demonstrated how to add a basic grid to your XPage using the EXTJS grid control and the ExtLib REST service. 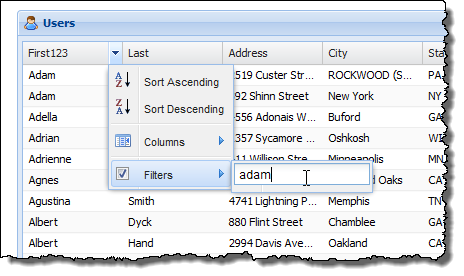 What we will look at in this article is the basic capabilities of the view columns. If you click on a column and “drag it” over to the left and right you can re-order them. 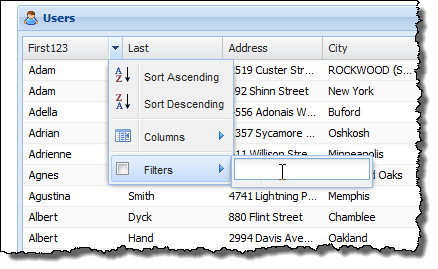 If you mouse over the top right of a column you will see a drop down icon appear – click on it and you will be able to hide one of the columns. You can actually programmatically hide the columns when the grids open and have the users make them visible later if you want to. Go look at the basic demo site and see for yourself.